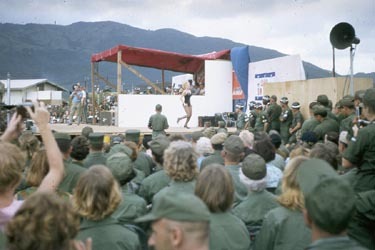 Derald says, "Here is a long shot of Joey Heatherton wiggling at the December 1966 Bob Hope show in Qui Nhon. The 174th CO was really aggravated at something and said the unit could not go to the show. We told him to stick it and took the crews for a much deserved treat."